Zazie celebrates the French Independence Day every July with a special Bastille Week pre-fixe menu including classical French dishes. Elsa, our lovely waitress from Evian, decks the restaurant with French flags and decor she's collected abroad. 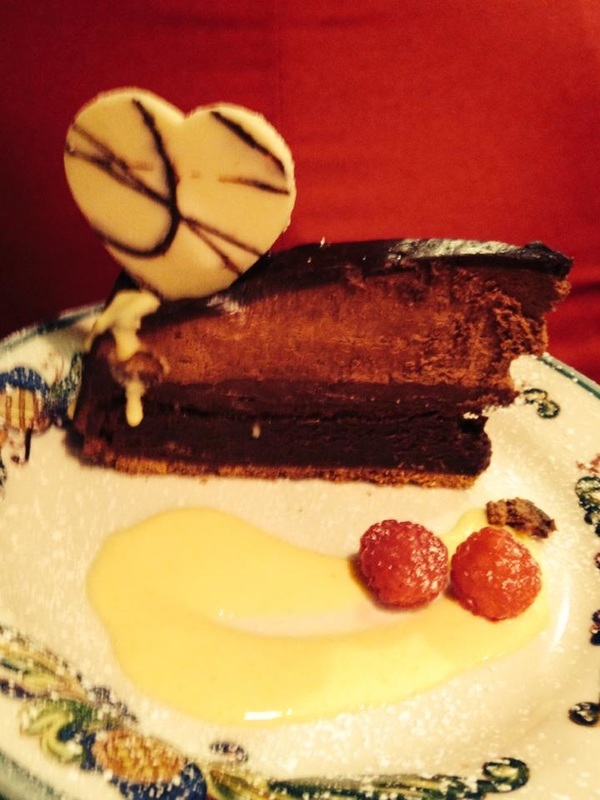 It's a great chance to try some very traditional specialties. Our 2018 Menu for Bastille Week can be seen here. We embrace Valentine's Day dinner as a great chance to play with the menu and decor, riffing off the natural playfulness of this holiday. Every year we come up with silly, fun menu items while Elsa covers everything that will stand still in hearts. Our patio is already the most romantic place in town, but for Valentine's Day we go over the top. We'll use tablecloths and dress the place up, but we're still casual and fun. For a sample menu click here. Every Tuesday night, we encourage you to gather friends and meet up at Zazie for dinner with as many bottles of wine as you can gracefully handle. This is a great chance to pop open those bottles you've been meaning to share, or just have a frugal fun night. Our $39 three course pre-fixe dinner includes service, so send out the group text and meet up in person, just like the old days! Monday Nights- Dinner at Zazie Has Gone to the Dogs! 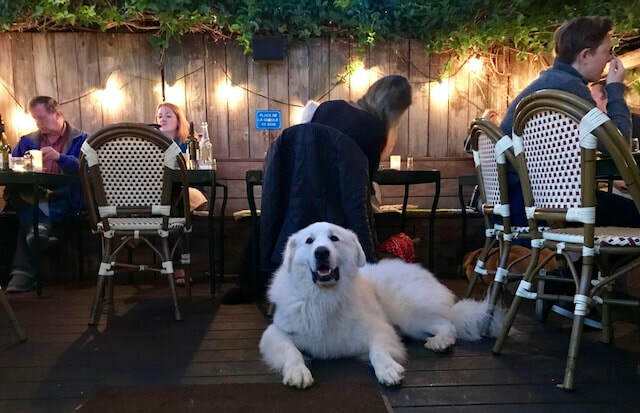 Every Monday night, bring your pup to dinner on our heated, covered garden patio, so he can meet and play with other Cole Valley dogs. You'll get $10 off any bottle of wine on our list, and we'll provide treats for your pup. After spending the whole day away from them, we know it's hard to get off work and leave your furry friend at home- that guilty face will get the best of anyone- so bring them along for the fun! After all, when was the last time your dog *saved* you money? Check out this great article about out Monday nights Dog Nights in This Dog's Life.